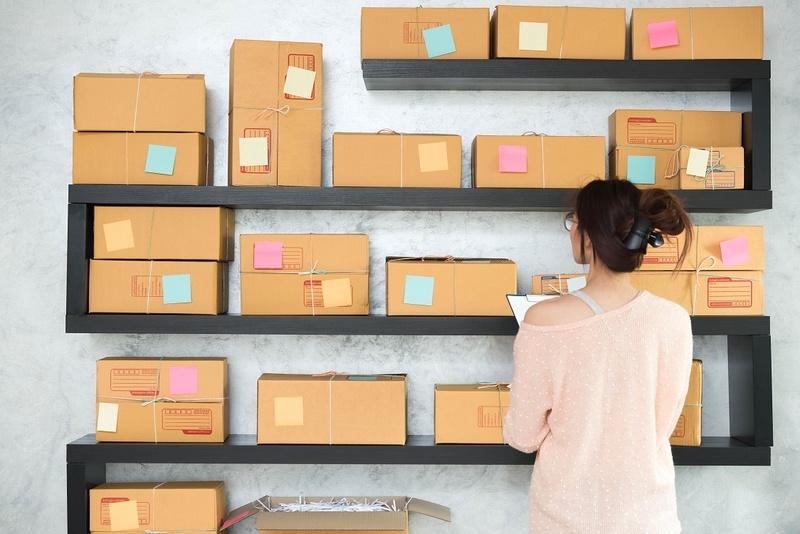 Is it Time to Outsource to a Fulfillment Center? Your e-commerce company’s growth hinges upon your ability to respond to an increasing customer demands. Successfully meeting the growing demands of your customers requires efficiency, robust technology, and adequate space to properly house and organize inventory. If your e-commerce business is lacking any or all of these attributes, it might be time to enlist the services of a third party logistics (3PL) company. Below are the top ten signs that it is time to outsource your order fulfillment tasks to a trusted 3PL provider. 1) Your sales volume fluctuates on a regular basis. Seasonal sales fluctuations or unpredictable spikes in sales volume can present an insurmountable challenge to your small or growing e-commerce business. Outsourcing your order fulfillment services will help ease the pain of volume fluctuations since your partner will have a plan in place to easily expand or downsize by utilizing team members who may be working across multiple accounts to ensure there is no impact to the customer experience. 3) Your scalability is limited. Scalability limitations are usually the result of insufficient warehouse space or inadequate staffing. If you lack the ability to handle a large order or a spike in sales, it might be time to consider outsourcing your order fulfillment tasks. 4) You lack the infrastructure to handle growing customer demands. If you are wearing too many hats as an e-commerce owner, it will be impossible for you to focus on customer retention and long-term growth. A 3PL provider will have the resources to manage inventory control, packaging processes, and shipping procedures to allow you to focus on managing other areas of your business. 5) Your technology is outdated. If your growing business is still operating with the same outdated software you used ten years ago, your efficiency will suffer. And if you are still manually processing or checking orders, you may find it even more challenging to respond to increased customer demands. Partner with a trusted 3PL that has processes in place to automate the fulfillment process and speed up delivery times. 6) Your warehouse is busting at the seams. If you find that you are running out of space to house products, you need to consider what can happen if you fail to make adjustments. Warehouse shelves are overstacked and overloaded with inventory, resulting in potentially dangerous conditions for warehouse staff. 7) Inventory is difficult to locate. When your warehouse shelves are overcrowded, your employees will have a harder time finding and accessing inventory. The result is decreased efficiency, order delays, and low levels of customer satisfaction. Outsourcing your order fulfillment who is a pro in distribution center organization will assist in getting your orders out faster and in good shape resulting in happy, loyal customers. 8) Orders are taking longer to process. Overstocked shelves, poor inventory control, and outdated technology can combine to result in order delays. With customers more focused than ever on instant gratification, you cannot afford an increase in delayed orders. In addition, finding a fulfillment center who is close or central to your customer base will help speed up delivery times. For example, if you live in California, but the majority of your customers are located to the southeast, finding an east coast facility help get orders in the hands of your customers faster while reducing your overall freight spend. 9) There is not enough time to properly fulfill orders and grow your business. An e-commerce company owner should never have to choose between fulfilling orders and new business development. With the help of a 3PL company, you can devote your attention to the following: website development, sales promotions, product expansion and much more. 10) Customer complaints are on the rise. An increase in order errors and processing delays will ultimately cause your level of customer satisfaction to dip. This can hinder your repeat business and drive your customers straight into the arms of an e-commerce competitor. If your e-commerce company is experiencing the challenges above, it is time to outsource your order fulfillment to a dependable 3PL partner. Contact us to find out how we can help you increase your efficiency and raise your customer satisfaction levels. We have the space, technology, and experienced staff required to help your growing business successfully respond to your customers’ demands. We look forward to becoming your trusted order fulfillment partner.